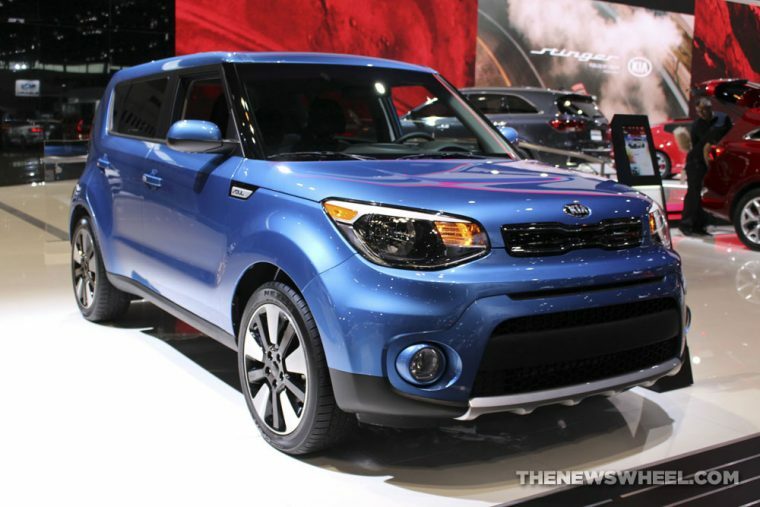 The Kia Soul is a hit with parents and automotive insiders. Editors from Parents magazine and automotive experts from Edmunds singled out the Kia Soul for the second year in a row when comprising the 2018 roundup of the 10 Best Family Cars. Out of 300 four-wheeled contenders, the Soul snagged a spot in the coveted group as the “Best SUV-Like Wagon” due to its family-friendly features, safety technologies, and value (with a $16,200+ price tag, it’s the cheapest vehicle included in the top 10, notes Parents magazine). The 2018 Kia Soul comes in 11 colors, three trim levels, and features a choice of two engines. It is equipped with Bluetooth® wireless technology hands-free connectivity with steering-wheel mounted controls, an AM/FM/MPS/SiriusXM® audio system, and features available Apple CarPlay™ and Android Auto™ compatibility. Available driver assist technologies include Autonomous Emergency Braking, a Forward Collision Warning System, a Blind-Spot Detection System, and Rear Cross-Traffic Alert.